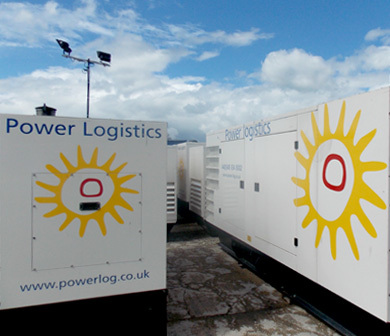 The generators we use vary in capacity from 10 kw to multi-megawatt packages suitable for a variety of applications. 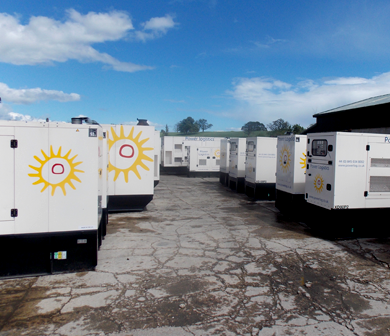 Our generator sets are synchronised to ensure against power failure. In short, should one generator fail, the other takes the full load, guaranteeing a constant power supply. 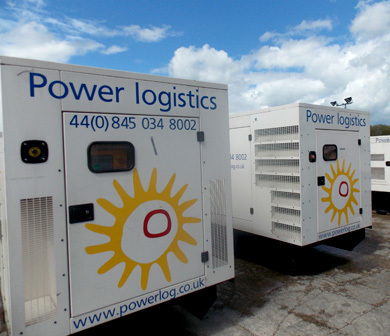 All of our employees are trained in refuelling procedures and our generators are bunded (an outer case can hold 110% of the liquid from the inner case) to protect against the unlikely event of a fuel spillage. In addition, our technicians have attended spill management courses so that they are experienced and capable of dealing with the situation effectively. We also ensure generators are run in a ventilated space and make provision for exhaust emissions to be ducted away, where appropriate, minimising the risk of noxious fumes reaching the audience or a sensitive area. We understand that the fragile and critical nature of some of its applications mean that we need to offer extensive ‘off the shelf’ and purpose built distribution equipment for specialist areas such as outside broadcast and utilities. 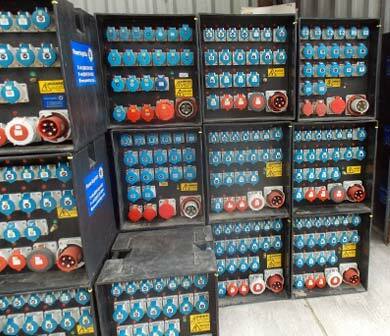 Power Logistics offers an extensive range of cabling including 13 A, Shucko, Hubbell, Ceeform, Camlock, BAC and Lug. 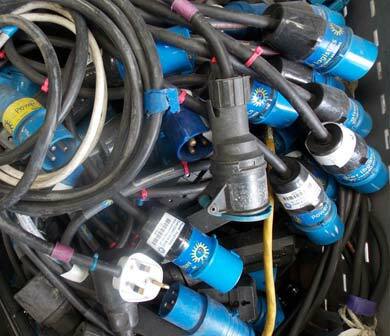 We are also one of the largest stockists of single core powerlock cable in the United Kingdom. Cabling can be supplied in single or three-phase lengths, complete with or without the above connections, depending on your individual requirements. UPS (Uninterruptable Power Supplies) Systems and Frequency Converters. In addition to being able to provide cabling equipment, Power Logistics can supply true on-line UPS systems to ensure non-interrupted power. 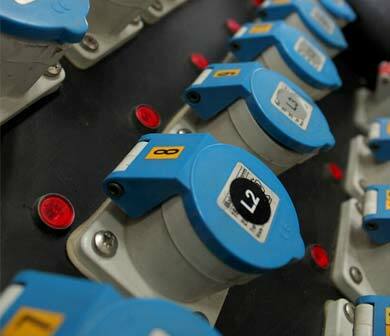 These can operate at either 50Hz or 60Hz giving voltage ranges of between 120v and 240v up to 6kVA. These units have been used in applications ranging from backing up radio and communication systems for a whole festival site to providing constant power to back line equipment on some of the largest and most critical touring applications in the world. Rotary frequency converters are also available. Power Logistics has worked in some of the most dissimilar environments around the world where power works in not only different voltages but different sizes and formats. 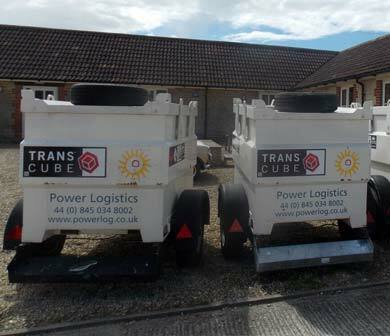 We can offer complete transformers packages for individuals, tours, concerts and sporting events to allow both UK and foreign equipment to be used in either location. The company operates a routine maintenance program allowing it to continually ensure all equipment is tested and inspected. 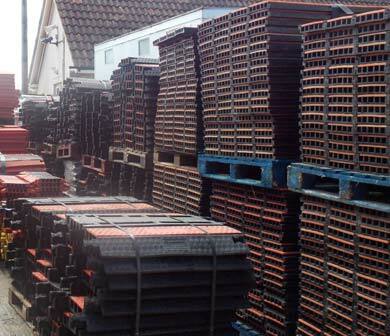 This system is constantly reviewed as more equipment is added to the hire stock, in order to maintain the efficiency of materials dispatched to site.